This jaw-dropping Spiderman Combo Bounce House will keep your little Spiderman fan having lots of fun for hours! 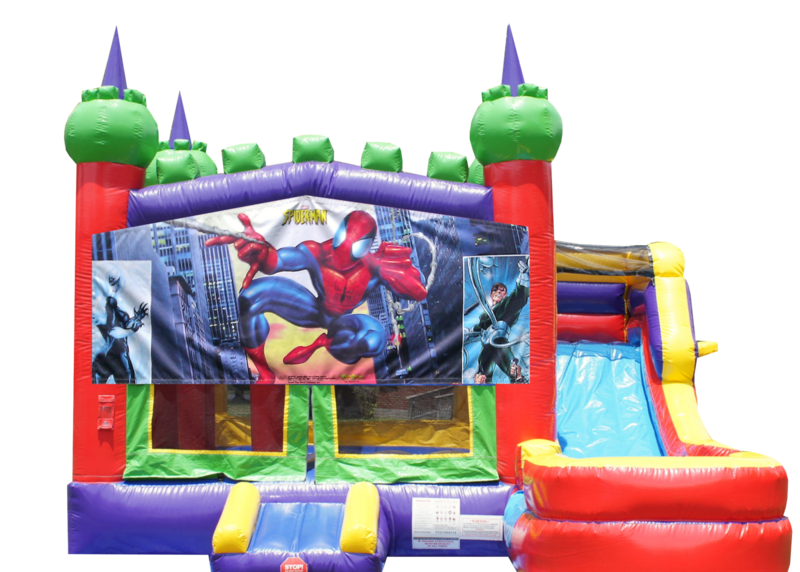 The Spiderman Combo Bounce House will invite your guest to joy your friendly neighbourhood spiderman adventures, don't be surprised if you hear "this is the best party ever" several times during your Spiderman theme party! Elevate the level of exitement by adding an obstacle course or an interactive game and a cotton candy machine!